Fattiga riddare is a classic Swedish dish (and probably a classic dish in many other countries since it is called french toast in the USA, pain perdu in France, torrija in Spain, arme ritter in Germany, grenki in Russia, köyhät ritarit in Finland, bundás kenyér in Hungary, ekmek balığı in Turkey, wentelteefje in the Netherlands, etc). 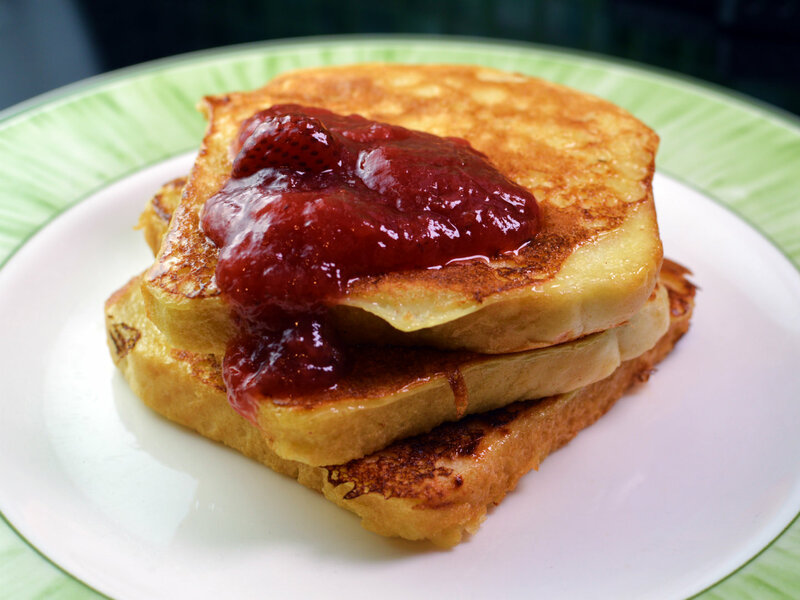 The special thing with Swedish fattiga riddare is that it is a standard Swedish pancake batter that the toasts are soaked in before frying, whereas french toast usually don’t have flour in the batter. Even though the classic requires the white bread ideal for toasting, you can of course try with any bread you have at hand. So do you have some stale bread at home, make some fattiga riddare! Use a hand mixer and add around ½ of the milk. This way you will be able to avoid lumps of flour in the batter. Once the batter is evenly mixed then add the rest of the milk and then add the eggs. At the same time you start frying you should add some more bread slices to the batter for soaking while you fry. Serve hot with same topping as you would with pancakes. The typical Swedish topping is strawberry jam and whipped cream but any jam would do. Lemon juice with sugar is also quite popular. Or just fresh fruits or berries. Or for the upcoming Pancake day / Shrove Tuesday /Fat Tuesday you could try out another typical Swedish speciality; semla!